Google has seen a sharp rise in global market share for its Android tablet computers, dramatically eating in to Apple's iPad dominance. In the last three months of 2011 Android tablets accounted for 39% of the worldwide tablet computer market, up from 29% earlier in the year, according to a survey from Strategy Analytics. Apple, on the other hand, saw its dominance fall from 68% to 58% in the same three months. Microsoft is still playing catch up in the tablet market, accounting for just 1.5% although we expect to see new Windows 8 powered devices launch this year. 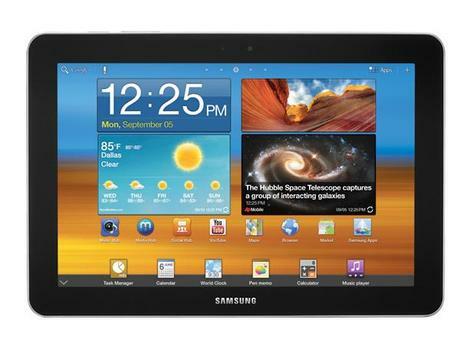 Between October and December 2011, Apple shipped 15.4 million iPads while Android tablet shipments reach 10.5 million. There has been a dramatic increase in demand for tablet computers in the last year. In 2010 at total of 18.6 million tablets were shipped, compared to 2011 which saw a boom in popularity resulting in 66.9 million shipments. The tablet craze is set to continue in 2012 and we expect to see a raft of new tablets announced at MWC 2012 in Barcelona at the end of February.